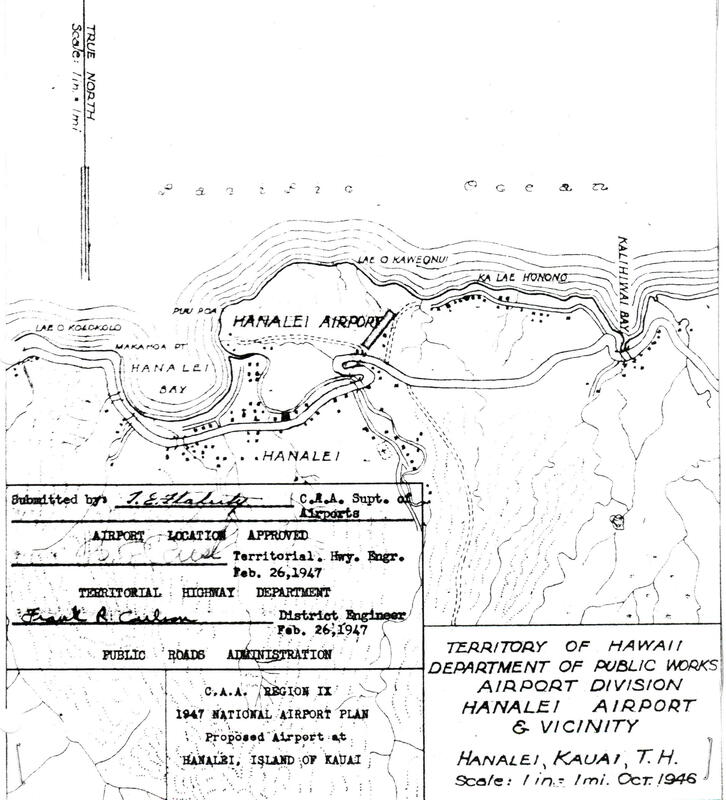 In 1947 the Territorial Superintendent of Public Works proposed building a Class I Airport at Hanalei, Kauai. 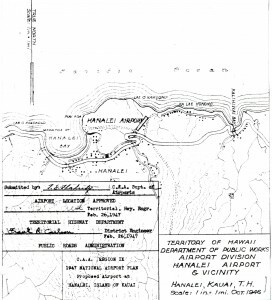 The airport was proposed primarily for personal flying and for accommodation of small charter planes from Honolulu. The proposed site was in a broad pasture area near the sea just east of Hanalei Bay. “The combination of Hanalei, Lihue and Port Allen airports would offer a great incentive to personal flying by Kauai residents and by visiting plane owners from Oahu. “The airport site has the advantage of being well adapted to gradual development. Army planes have used the area in its present condition and operation by light planes of a public airport at the site would be possible with very little initial expenditure. The completion of the project could be deferred until civil operations justify added facilities. The proposal was approved by the CAA Region IX as part of the 1947 National Airport Plan. There was no further mention of the proposed Hanalei Airport and no funds were ever appropriated for it.